The state House of Representatives unanimously approved legislation authored and introduced by State Representative Mike D’Agostino (D-Hamden) that would prevent municipalities with magnet schools from charging tuition to Hamden and neighboring towns for their out of district students. The bill (HB 5553) was prompted by the city of New Haven, where administrators indicated they may start charging tuition beginning with the 2016-17 school year after years of only collecting a state per pupil reimbursement. Rep. D’Agostino explained if implemented, Hamden could eventually receive tuition bills of up to $2,250 for each student attending New Haven’s inter-district magnet schools, for a potential total annual liability of exceeding $1.2 million. Hamden currently has about 570 students enrolled in New Haven magnets. "After 13 years on the Hamden Board of Education, I understand where both Hamden and New Haven are coming from on this issue," said Rep. D’Agostino, who led the floor debate in the House. "But if a host district is going to charge tuition when it has not previously done so, there needs to be some oversight and notice. I expect we will all continue the discussion on this issue next year as well." 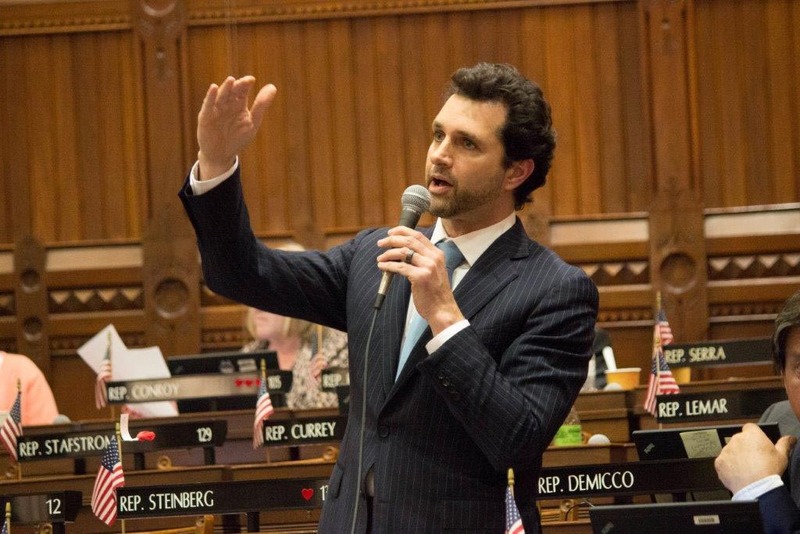 Hamden Mayor Curt Balzano Leng and Board of Education Chairman Adam Sendroff praised Rep. D’Agostino for introducing his legislation ,"This is a demonstration of Mike's consistent and strong representation of Hamden and in particular its public schools. As the former Board of Education Chairperson, Mike knows our schools cannot afford hundreds of thousands of dollars in tuition payment to New Haven. He heard our concerns on this issue and led the fight to stop it." The legislation does not impact towns that are already charging tuition. Bridgeport and New London are the only other host municipalities currently doing so. Magnet schools operated by Regional Education Service Centers (RESC) or those under the court-ordered Sheff v. O’Neill settlement are also not affected.